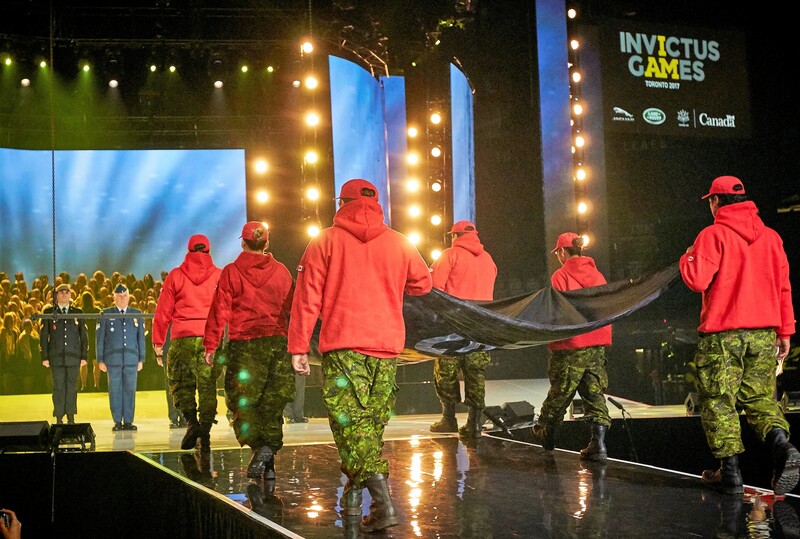 Canadian Rangers carry the Invictus Games flag across the arena floor to the stage. Photo by: Carole & Roy Timm Photography. Six Canadian Rangers from five Northern Ontario First Nations played a prominent part by raising the official flag of the Invictus Games at the spectacular opening ceremony of the Games in Toronto, watched by an international television audience of millions of viewers. Four Junior Canadian Rangers from Lac Seul First Nation, near Sioux Lookout, holding tall Maple Leaf banners, were part of the military cadet honour guard. The event, held at the Air Canada Centre on Saturday, was watched by a near capacity audience that included Prince Harry, Governor General David Johnston, Prime Minister Pierre Trudeau, and U.S. president Donald Trump’s wife, Melania. 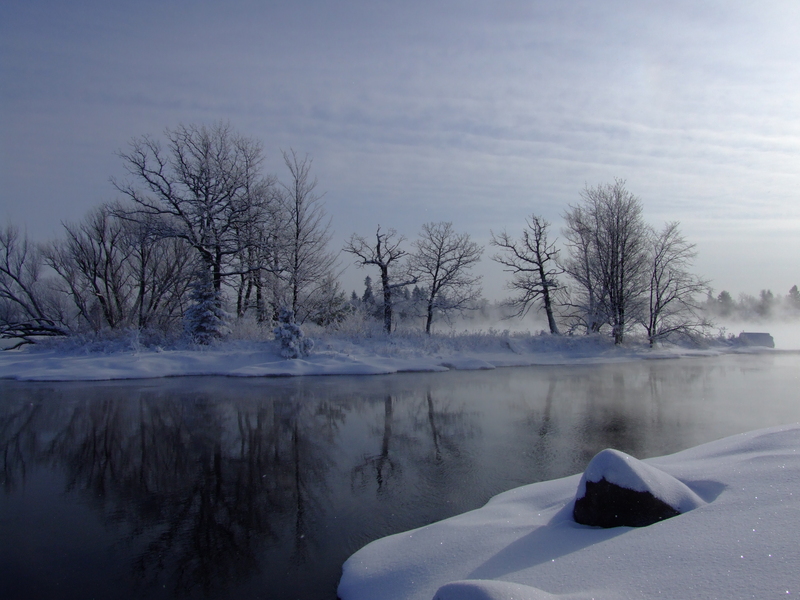 Lieutenant-Colonel Matthew Richardson, commanding officer of 3rd Canadian Ranger Patrol Group, which commands the Canadian Rangers in Northern Ontario, said he was impressed by the Rangers and Junior Rangers. The Rangers are part-time army reservists. The Games were founded by Harry, who served with the British Army in Afghanistan, to motivate wounded and sick soldiers on their way to recovery. They were first held three years ago in London, England. They run until September 30. At least 550 athletes from 17 countries are expected to compete in the sporting events, including track and field, swimming, and golf. Master Corporal Denise Ningewance of the small Ojibway community of Lac Seul said participating in the event was a huge experience for the six Rangers who carried the flag. The six Rangers, three female and three male, were: Ranger Hondy Atlookan from Fort Hope, Ranger Justice Brisket from Mishkeegogamang, Master Corporal Christopher Keesic from Moose Factory, Master Corporal Ningewance and Master Corporal Shiyan Neekan from Lac Seul, and Ranger Leonard Beaver from Webequie. The Junior Canadian Rangers from Lac Seul were Selena Gray, Byron Mekanak, Kristin Ningewance, and Reilly Thivierge.